Attends TissuePak Facial Tissues feature soft yet strong tissues that would not easily break. These disposable wipes are ideal for economical, single-patient use. 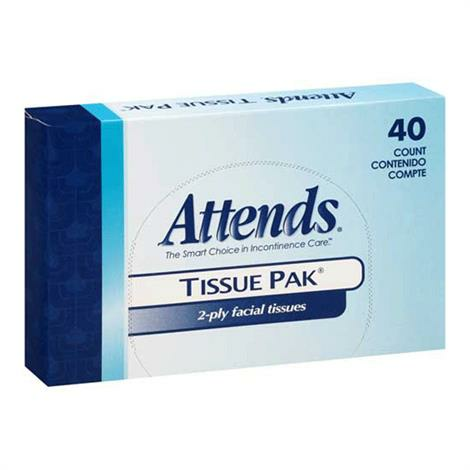 TissuePak Facial Tissues are 2-ply, travel/bedside size tissues that come in easy dispensing packs.